The aftermath of Utah Attorney General John Swallow’s resignation in early December continues to provide new revelations, with some of the latest evidence emerging to date strongly suggesting that Swallow embarked on a personal campaign lasting several months to delete damaging records from a range of computers and storage devices in his possession. Swallow resigned on December 3rd after announcing his departure in late December, following extended reports that he had used his attorney general’s office as a “pay for play” finance center, in particular benefiting the payday-loan industry, which is prominent in Utah and from which Swallow himself sprung, as a corporate attorney for one of Utah’s largest players in that market. Swallow was also tied indirectly to the infamous “Black Friday” online poker processing being conducted through the SunFirst Bank of St. George, Utah. That processing, orchestrated by money movers Jeremy Johnson and Chad Elie, collapsed in late 2010 under pressure of federal investigators from several different agencies. Swallow and former Utah AG were sought out by Johnson, a powerful and prominent campaign contributor, to provide legal cover for the SunFirst operation. As detailed in a series here at FlushDraw, Johnson approached Swallow and Shurtleff in 2009 in hopes of securing a legal opinion that the online poker payment processing through a Utah bank was okay. Poker Players Alliance executive director John Pappas was also enlisted on behalf of major Johnson/Elie clients PokerStars and Full Tilt. Pappas confirmed at least five brief e-mails with Johnson in connection with the lobbying attempt, but denied specifically promoting the interests of Stars, Tilt or any other named entity, instead claiming to have promoted the concept of the processing itself on “federalist” terms. Johnson — who would go unindicted on Black Friday primarily because he was already neck-deep in a closely related fraud case being led by the Federal Trade Commission — was ultimately unsuccessful in winning formal legal protection from the Utah AG’s office for the SunFirst operation. However, Shurtleff and Swallow took no active steps to stop the processing, either, which may indeed have been illegal in Utah, a strict anti-gambling state. Johnson also sought behind-the-scenes relief from a massive $284 million fraud case brought by the FTC against the actions of Johnson and his iWorks operation, which was intermingled with the SunFirst poker processing that Johnson also implemented. Johnson and an unspecified “Scott” (which is probably Johnson’s indicted accountant and business partner Scott Leavitt), gave Swallow, at that time the assistant AG in Utah to Swallow, either $250,000 or $300,000 to be distributed to various politicians and officials to help make the FTC problem “go away”. Among the channels claimed to be used in the bald bribery attempt was that of Nevada Senator Harry Reid, another elected official with strong ties to poker. When Johnson’s FTC case fully materialized, he sought a refund of sorts from Swallow, and surreptitiously recorded an infamous meeting between the two at a Utah Krispy Kreme donut shop where the two had met. Johnson’s case, the poker processing, and several other topics of interest were discussed in the hour-long meeting. FlushDraw has previously published excerpts from the tape, and in recent weeks, a complete transcript of the meeting has been published by StGeorgeUtah.com, an online news hub for the southern Utah city where Johnson’s operations were headquartered. Poker-related exchanges appear in several segments distributed throughout the transcript, which also contains plenty of other damaging, incriminating information about the failure of Johnson to make his FTC case disappear. In recent weeks, the findings of a Utah investigation into Swallow suggest that in the immediate wake of the Johnson meeting, Swallow began an extensive campaign of destroying all evidence related to his financial dealings with Johnson and other questionable members of Utah’s payday-loan industry, whose secretive donations would be washed through several filters and which would key Swallow’s successful campaign run to succeed Shurtleff, who departed office due to personal illness. A “potentially large number” of emails. A “potentially significant number” of calendar entries from 2009, 2010 and 2011. All information from Swallow’s state-provided desktop computer until 2013. All information from Swallow’s state-issued laptop computer until 2013. All information from Swallow’s state-issued handheld data device until 2013. Information from Swallow’s home computer, which crashed early this year. Information from Swallow’s cellphone, replaced in 2012, which may be recoverable. The data loss was termed “unprecedented” by investigators, noting that only three people were in position to delete the information from the devices, and the other two had already testified that they had not done so. The third person with access was Swallow himself. The loss even included at least one external hard drive to which Swallow copied information, but subsequently claimed to have “lost” on an airplane. The fact that all these devices could somehow have experience an accidental loss of data was ridiculed in several quarters, including this now oft-cited “dog ate my homework” political cartoon by SL Trib cartoonist Pat Bagley. It subsequently turned out that Swallow also disguised the nature of multiple earlier transactions after the fact, such as payments received (presumably for lobbying and political favors) from the payday-loan industry. The missing evidence, which includes tens of thousands of e-mails, of which a small percentage has been recovered through secondary means, is believed to also provide a virtual roadmap for how Swallow and his campaign advisors skirted election laws by shuffling large contributions through various shells and organizations before being used in Swallow’s campaign. Back in September, federal investigators had cleared Swallow of any wrongdoing, even as state-level investigators continued their own search. 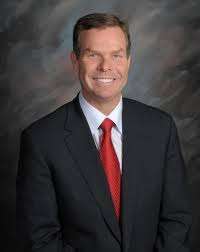 A new federal investigation may be underway, even as the state-level work continues to ramp up, despite Swallow’s resignation, which included an 11-day delay designed to qualify Swallow for a $12,000/year parting gift in the form of a pension qualification, for which he would become vested on December 2nd, marking four years of service in a Utah state office. While Swallow’s resignation marks one form of resolution in civil matters, the possible criminal charges remain. Since late September, Swallow and his various business dealings have been targeted by 17 new subpoenas by Utah investigators, including one, notable, to Jeremy Johnson. How many of those subpoenas will be successful remains to be seen. Swallow and his own attorney had actively blocked subpoenas issued to Swallow’s own IT director in the days prior to Swallow’s resignation, an active stonewalling that investigators claim actively hindered the ongoing investigation. Numerous reports cite the secretive taping by Jeremy Johnson of Swallow in their illicit donut-shop rendezvous as the catalyst for the following events. As mentioned in the transcript, Johnson and Swallow discussed the possibility that an unnamed Utah pol was being investigated, and Swallow assumed it was him. Such a panic may have even spurred Swallow into the ongoing deletion of records, which is believed to have started shortly after the pair’s April, 2012 meeting. Did online poker have a contributory role in the fall of the Attorney General of one of the 50 United States? When you examine the whole picture, it’s hard to argue otherwise. Today a host of candidates are lining up to win election as Utah’s next AG, and it’s a safe bet none will have close ties with Utah’s seedy payday loan industry or its secretive ties to the worst of online poker.